2*7W Powerful Bass Outdoor Speaker: Powerful & High-Def Sound- With dual enhanced 7W full range loudspeaker. 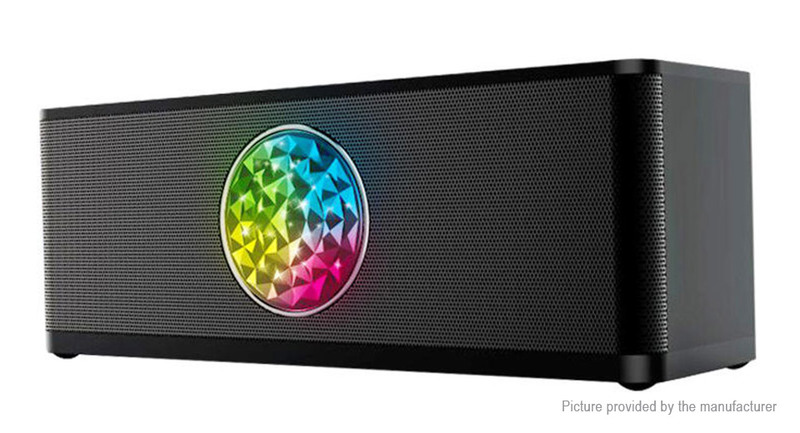 Crystal clear sound and reinforced bass which can fill out a room. Perfect for bathing, showering,traveling, outdoor camping, hiking, climbing, bicycling, fishing. With advance Bluetooth 4.1, the pairing and reconnecting take only few seconds with a range of up to 33ft. The Built-In Microphone will allow you to make and receive Hands-free calls and listen to the other person loud through the speaker. If you are playing your music and a call comes in, the music will stop and you will hear your phone ring and will continue playing after your call has ended. Compatible with all Bluetooth devices such as smart phones, tablet, PCs, etc. We&apos;d love to help! Contact Customer Advocates. No restocking fee. Shipping charges may apply if returns are not results of FastTech&apos;s error. Because this product contains batteries, it can only be shipped via select shipping methods. These shipping methods are displayed when you check out the order.